Hello! We are from S2-05. 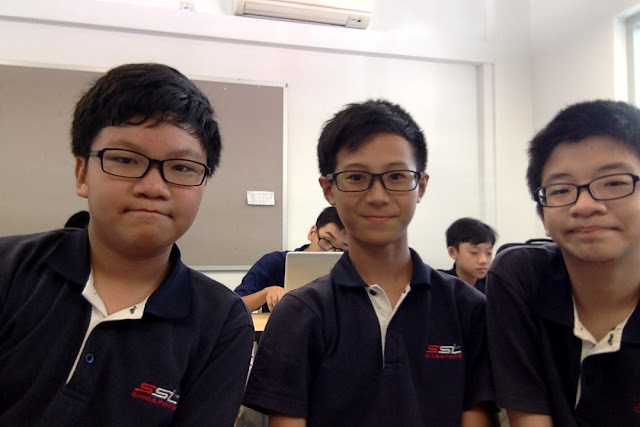 On the left is Edison Koh Guo Rui, followed by Isaiah Leong Tzeng and Lee Hong Yih. We are doing a project about how the angle of the sun affects how bright houses are with the plastic bottle lighting system in rural areas.